B72 is a dark nebula that bears a striking resemblance to a snake, hence its name the Snake Nebula. Do you see it in the image? 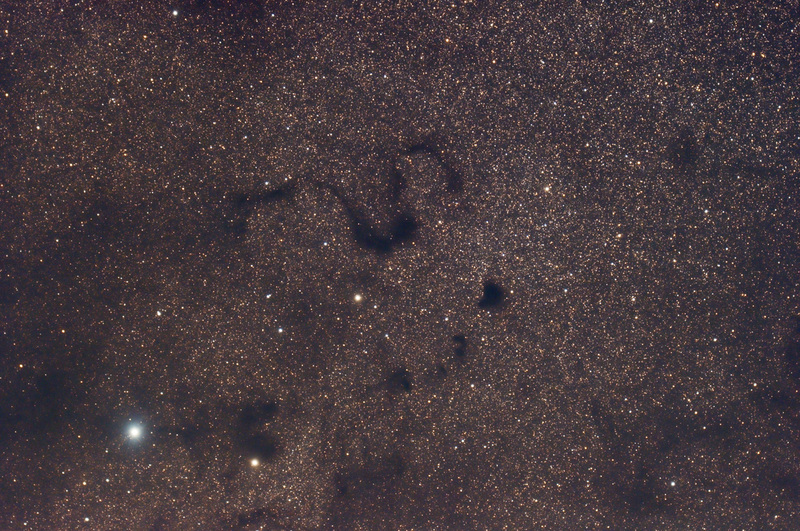 There are several dark nebula in this image including B68, B69 and B70 which are all below the snake. Dark areas like these are fascinating since at first glance they appear to be voids in the starry sky yet in reality they are gigantic clouds of interstellar dust that block the light of stars behind them. Notes 75°F, 90%RH, Fair transparency each night, very warm! Initial RAW conversion, registration and stacking in IRIS.